This week brings a number of quality of life changes from the recent content poll as well as a plethora of bugfixes! Both the Ring of Coins and Ring of Nature are now usable and tradeable in free-to-play worlds. If you've ever wanted to head to F2P to tease the noobs, now is your golden opportunity! You will now be given a confirmation message when releasing stacks of Hunter creatures. Previously, regardless of the value of a stack you were able to instantly and permanently lose it in only two clicks. This confirmation message will prevent any unfortunate mishaps with valuable stacks of Hunter creatures. 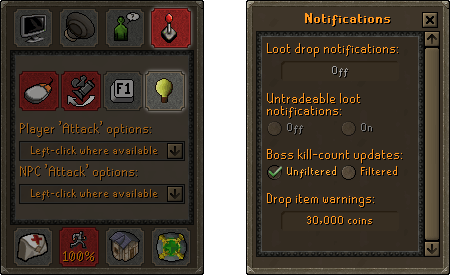 It is now possible to set a value above which items will require confirmation to drop. You can choose this value in your notification settings menu. If an item you attempt to drop exceeds the value you have chosen, a warning message will be displayed. Sand Crab Isle now has a few more Sand Crabs. The boss kill log will now display the maximum trackable kill count alongside "Lots" when the maximum kill count is reached. The bonecrusher’s notifications now appear every 100 charges rather than every 50 charges. Corrected some spam filtering in Tai Bwo Wannai Village. Removed an old Arceuus Path tile from outside of the Tower of Magic. The Copper Longtails on Zeah no longer activate the Western Provinces Diary. Smoothed some ground textures around the cliffs in the Shayzien District. Blocking beside the Lovakengj anvil room has been removed. Removed old path tile from route between Arceuus Fairy Ring to Dark Altar. All of the Wounded soldiers in the infirmary can now be accessed. Render orders of the Shayzien infirmary roof have been fixed. Fixed a small graphical issue on the bookcases in the top of the Arceuus Library. The painting in Kourend Castle no longer resembles King Lathas. The gem and baker stalls no longer reference Ardougne. Betty's counter in Lands End has been replaced with a table. Hunting equipment spawns in Lands End have been placed within crates. The Yew tree stumps near Lands End have been replaced with inactive regular stumps. The shelf in Lands End Bank no longer gives a book with no relevance to the area. The doors have been removed from Lands End Bank. Removed some unnecessary decor between the buildings in Piscarilius. The roof on Farmer Gricoller's house now fits correctly. Players are no longer able to walk on the tiles occupied by spiral staircases in Kourend Castle. The Tome of Fire changes colour correctly when pages are added while the book is worn. Resolved an issue in player-owned houses where moving a room not connected to another floor upstairs stated that the room could not be moved. 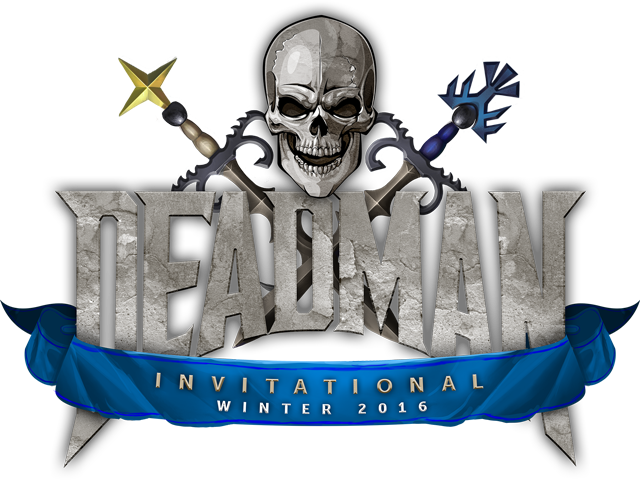 Deadman Winter Invitational - Get your tickets now! Get exclusive access to the Old School team, your favourite players, and other passionate Old School RuneScape fans at what promises to be an incredible event. To join us, get your tickets here! Premier Club’s coming next week, and we’ll be providing a 30% discount to a year’s membership. With raids on the horizon, Deadman tournaments and the usual flow of Old School updates, we want as many of you as possible to enjoy all we have to offer in 2017. Be sure to check out the pricing for Premier Club to save on your membership! I've just started the Hunter grind to 99, the chinchompa release warning message makes me feel abit more safe training the skill. Nice update and keep up the good work. Any possible way we can get a total loot broadcast message similar to the one setup for Treasure Trails? When will you do mining guild rework? Some good quality of life updates. When are we going to see that loot of 1,000 Superior encounters ? Yay for no new content week! !